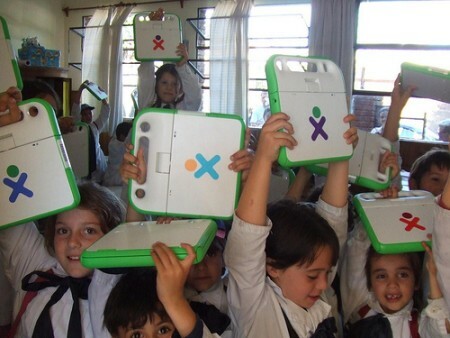 Uruguay’s national OLPC project Plan Ceibal provided an XO ($100 laptop) to each of the 395,000 children in primary school from 1st to 6th grade across the country’s 2332 public schools. The government invested $100 million in these laptops and the last laptop was handed over last October. There is a complementary educational television channel. Schools serve as centers for free community wi-fi, and free connectivity has been introduced in hundreds of municipal centers around the country as well. There are free local training programs for parents and community members on how to use the equipment. 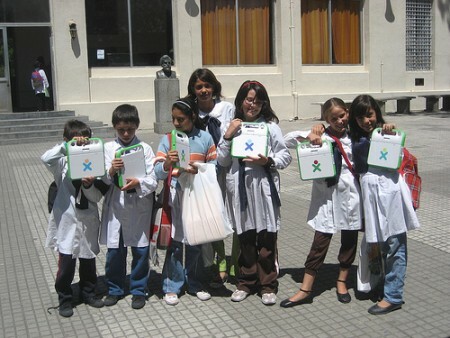 With the help of a Rising Voices micro-grant, Blogging Since Infancy project announced several awards at a national blogging competition for the OLPC users – the primary students. Some of the awards included sponsorship of the winners to attend special courses on educational use of blogs, video editing and other skills. It also emphasizes the creation of more Teacher Blogs where they have shared their experiences. Their work will be reflected in the Ceibal Fair which will take place between 15 and 19 November in Florida, Sarandi Grande, Fray Marcos and Cardal where rural schools and colleges in each area will participate. Another workshop was conducted in coordination with the school of music to empower the use of xo laptops in this discipline. You can learn more about the workshops here. “A lot of the data we gathered points to one thing: it was worth it. It was worth it because kids are more motivated when they go to school. It was worth it because they are more motivated to do homework. It was worth it because they are not repeating grades where we have been able to measure. It was worth it because we gave thousands of children identification documents since we did not give a laptop unless they had some sort of national ID, or at least the parents’ ID. So in that sense the children were properly identified. Christoph Derndorfer mentions Uruguay as the Switzerland of Latin America and lists evaluation of six criteria for successful implementations of ICT for Education projects. The Plan Ceibal ranked well in all of them and has become a success story to be replicated in other parts of the world.